A prologue for my newfound appreciation of Coco Vandeweghe: Just about any time I hear a tennis player praised as a good athlete, I recoil and resist. How do we define athlete? Just because someone, say, like Coco Vandeweghe, can show up at a public park and play four sports plausibly, does that necessarily make her a better athlete than, say, Chris Evert, who excelled supremely in an individual sport for nearly 20 years? The point here is that for many years, I have been reluctant to join the Coco Vandeweghe bandwagon. And trust me, it has been a long time. More than a decade ago, word came of this prodigy from San Diego who boasted a supreme athletic pedigree in the form of a mother who’d competed in the Olympics, and an uncle and grandfather who’d each played in the NBA. Soon after, when Vandeweghe was still 15, I watched her compete extensively in the USTA National Girls 18s championship in the San Francisco Bay Area at the Berkeley Tennis Club, which also happens to be the club I play at. She didn’t win the title, and though her serve even then was extremely impressive, to hear repeatedly from spectators about her athleticism annoyed me. Much about Vandeweghe’s approach struck me as sloppy, ill-informed, flavored also with a significant lack of humility. My ambivalence towards Vandeweghe continued even once she won the 2008 US Open junior title and commenced her pro career. Where was the shot selection? The fitness? The composure? There would be impressive wins, followed by losses that revealed a lack of tactical and emotional maturity. Coco Puff. Coco Bluff. Where was the Coco Stuff? Many a time I’d wonder how gleefully a player like Martina Hingis would have dissected Vandeweghe in the manner of an entomologist, shredding Vandeweghe strand by strand. All along, the mantra continued to echo about Vandeweghe’s athletic family, her childhood around the likes of basketball star Bill Walton, her carefree attitude – so little of it matched by sustained excellence. But this has been a year of major turnaround, of improvement across all areas. There was the run to the Australian Open semis, Vandeweghe along the way beating reigning Grand Slam champions Angelique Kerber and Garbine Muguruza. Later came a quarterfinal effort at Wimbledon, a tournament Vandeweghe might have even won had she not regressed in losing to the clever Magdalena Rybarikova. And here is what I’ll concede I missed about Vandeweghe: Her lifelong immersion in sports has made her open to input from others. In team play events such as the Olympics and Fed Cup, Vandeweghe has flourished as a superb competitor. In May, when her coach, Craig Kardon, decided to end their relationship, she quickly huddled with her agent and found a replacement in Pat Cash. This is a woman who can assemble and work with a team. 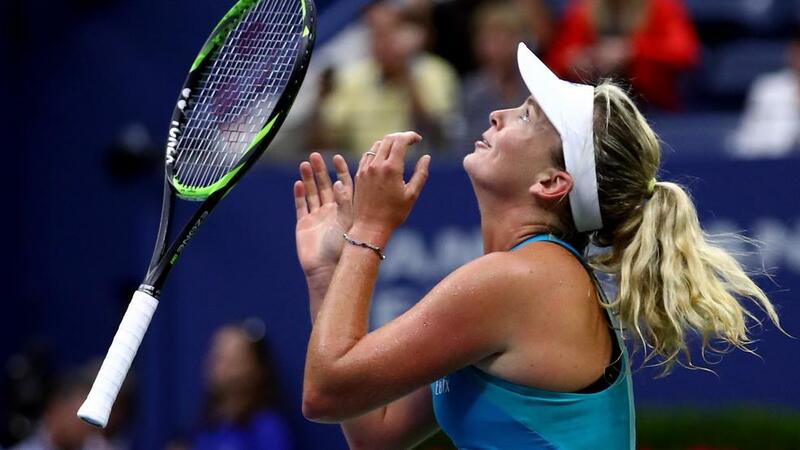 As this US Open has rolled along, Vandeweghe has shown increased maturity. In prior years, she would pull the trigger at odd times in a point, be it too soon, from bad parts of the court or without much awareness of the score. Little of that surfaced today in her 7-6, 6-3 win over world number one Karolina Pliskova. Vandeweghe now seems to have more faith in her tools, a much-improved mix of patience, balance, ball control and court management. Perhaps Vandeweghe is yet another example of the premise that all-court players take longer to mature than baseliners, who often come out of the box ready to go, batteries included. In other words, raw athleticism – that mysterious concept some call “talent” – has given way to skill. It’s a pleasing sight.